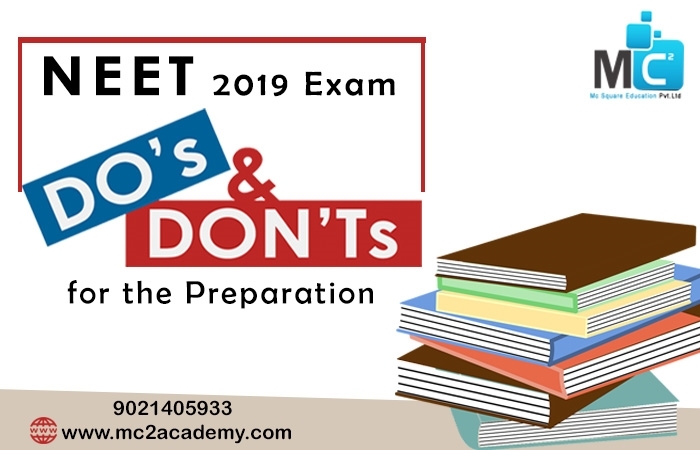 NEET 2019 Do's and Don'ts for the exam preparation helps students achieve their best potential and performance. NEET Classes in Pune gives some study tips to bring the best out of you during the exam preparation. Follow this Do’s & Don’ts to make your NEET Exam preparation more effective. - Create a study timetable and follow it. -Complete most or all your outlines before Reading Period. - Check your outline for completeness and accuracy by comparing it to the professor’s syllabus. - Memorize key definitions and elements of law. Make a spark sheet or checklist and use it to help memorize key terms and definitions. - Try alternative study techniques, including making flashcards or creating flowcharts. - Do make some time for yourself to follow your activities & hobbies that refresh your mind. Its helps to improve concentration & make study more interesting. - Study each subject in small increments over a period of many days. - Take as many practice mock test exams as you can under exam-like conditions. Compare your answers with model answers. - Get enough food, sleep, and exercise while you are studying. - Cram your studying into the few days before the exam. - Don't avoid sleep. Must take at least 7 hours of sleep a day. - Don’t compare with others. Give your best efforts. - Do not lose confidence due to the fewer score. Its may have negative effect on your preparation and performance. Give your best attempt without thinking about the results.